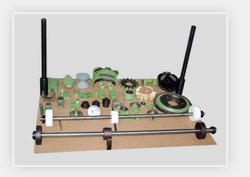 M.S.N Tex Engineering - Manufacturer of carding spares, undercasing for high production carding machines & tong and groove since 1996 in Coimbatore, Tamil Nadu. 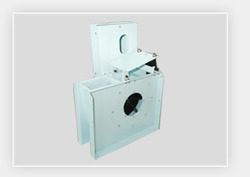 We manufacture a comprehensive range of industrial fans, especially, Booster Fans of TV 425. 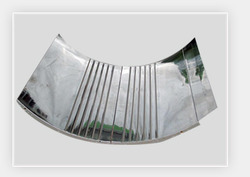 Besides being designed and fabricated from supreme quality raw materials, these fans can be customised according to the specifications of each client. Our booster fans deliver heated or cooled air, primarily, in textile industries. They are used for improving air circulation in buildings where the delivery of hot or cool air is either not sufficient or efficient. 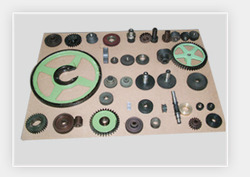 We supply high quality Industrial High Speed Timing Belt Drive Coiler at competitive rates. High speed coiler completely on timer belt drives ensure noiseless and maintenance free working of coiler even at 300 mts/min. Delivery speed. 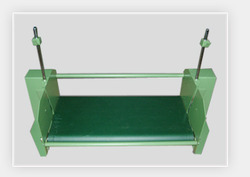 In textile mills, Lap Feed System is widely used for feeding the cards constantly from blow room and to avoid carrying laps to the carding department. We are one of the leading manufacturers, exporters and suppliers of Lapstands. If fixed with cards, these Lapstands need auto levelling device and are hugely appreciated for long service life, reliable performance and low maintenance. Our Lapstands are manufactured according to international quality standards, using high quality inputs and modern technology. Moreover, these Lapstands can be customised to various specifications as per our clients’ requirements and are priced cost effectively. 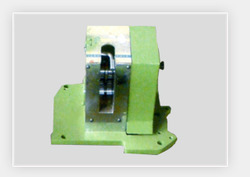 We manufacture and supply high quality Carding Brackets that have a long life and give trouble-free performance. 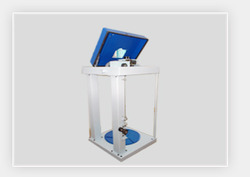 They are made from material tested by us and then go through a thoroughly professional manufacturing process ensuring absolute satisfaction for the end-users. 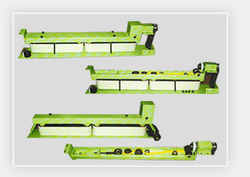 These brackets are used in Back Plate, Front Plate, Stationary Flats, Top Bare Flats, Flat Chain Gear wheels, Gauges, Brackets, Perlon Rope Shafts, Condensers, Pulleys, Belts, Electro - Magnetic Clutches and Brakes. We provide high quality High Speed Apron Doff Units. These products are available at competitive rates.